Federal Aviation Administration (FAA) Acting Administrator Dan Elwell named D. Kirk Shaffer as the FAA Associate Administrator for Airports. In this position, Shaffer will oversee the annual Airport Improvement Program (AIP). Since 2017 through the AIP program, the U.S. Department of Transportation has announced nearly $7 billion in investments in the nation's airports. Shaffer also will be responsible for national airport planning, airport safety, standards, airport design engineering, and regulatory compliance. 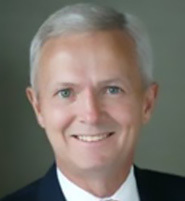 From 1986 to 2004, Shaffer served as executive assistant to the president, director of properties, and general counsel to the Metropolitan Nashville Airport Authority. In those capacities, he worked on a wide range of environmental, construction, and airport funding issues, especially those related to the FAAs AIP and the National Environmental Policy Act. Shaffer also served as chairperson and vice chair of the legal committee for Airports Council International-North America from 1998-1999. He also is a Certified Member of the American Association of Airport Executives and the Aircraft Owners and Pilots Association.